OnePlus is inviting people to a closed-door event at MWC to "reimagine the future"
The Mobile World Congress starts in less than three weeks and it’s going to be an eventful one. Phone makers big and small are preparing to announce new devices, setting the trends for 2019. It appears that OnePlus will be joining the expo extravaganza as well, but likely without a smartphone announcement of its own. The company sent out invites to a closed-door event (so mysterious!) that will be held during MWC, AllAboutOnePlus reports. The invite is doing little to reveal exactly what the meeting will be about, simply stating “Reimagine the future with OnePlus”, adding “Join OnePlus at Ultramarinos where drinks and a taste of the future will be on us. We’ll be celebrating MWC 2019 at this exclusive, invite-only event,”. And while that could mean a lot of things, it certainly sounds exciting. It’s not every day we get to reimagine the future, right? So, what could that be about? We know of a couple of projects OnePlus is working on. The first one is, of course, the next smartphone we’re all expecting, the OnePlus 7. Leaks have suggested that it might be a slider-type phone with a true bezel-less display that shifts down to reveal the front-facing camera. It will almost certainly have the Snapdragon 855 SoC as well, but neither of those features is reimagining the future, going by OnePlus’ own words. The other is the company’s upcoming 5G smartphone with a so far undisclosed name. OnePlus is separating 5G from its usual line likely due to the extra cost associated with the new technology, which will make it impossible for the company to adhere to its “flagship specs for affordable prices” rule. This device might be the first of a new line of more premium smartphones coming from OnePlus. Which will also be a good opportunity for the manufacturer to experiment with features its core fanbase might not care about too much. The "a taste of the future" part of the invite certainly grabs the attention. It suggests that there's already a working version of whatever OnePlus is "cooking". And while that can easily be a prototype of one of the aforementioned devices, it could easily be some software innovation. 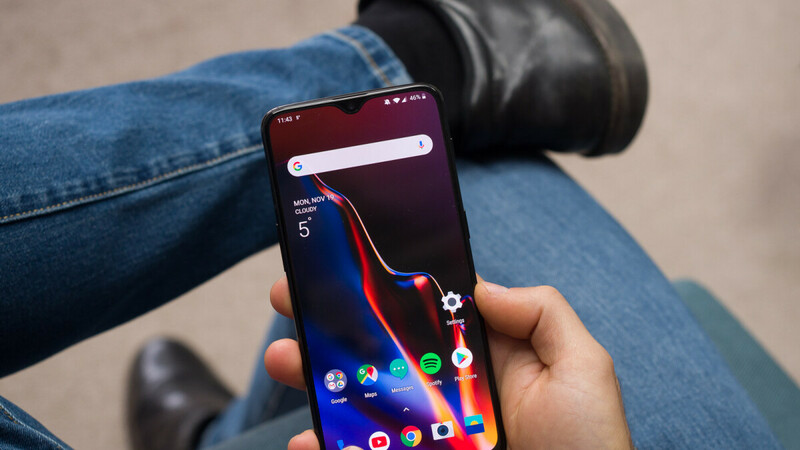 Just the other day OnePlus announced a contest for a new software feature that will come from one of the company's numerous fans. We’re certainly hoping whatever OnePlus sees as reimagining the future is something more than tons of RAM, more cameras than fingers on your hand and 5G as a cherry on top. Despite the event being “closed-door”, we’re sure information about it will be out as soon as it ends, or even during the "tasting". Now back to impatiently waiting for February 24 to come. Or the next best thing from the company that made the 6T. Keep it coming OnePlus.